Was it coincidence that in 1979, when William Christie chose a name for his newly formed Paris-based Baroque ensemble, he found one that made reference to flowers, Les Arts Florissants? Deliberately or not, the moniker foretold the marvelous estate that has become the conductor’s primary home and haven, where he has hosted thousands of visitors for days of Baroque music and the pleasures of the garden. I spent three enchanting days in August 2016 at the beginning of the eight-day festival, the fifth edition of Dans les Jardins de William Christie in Thiré, France. 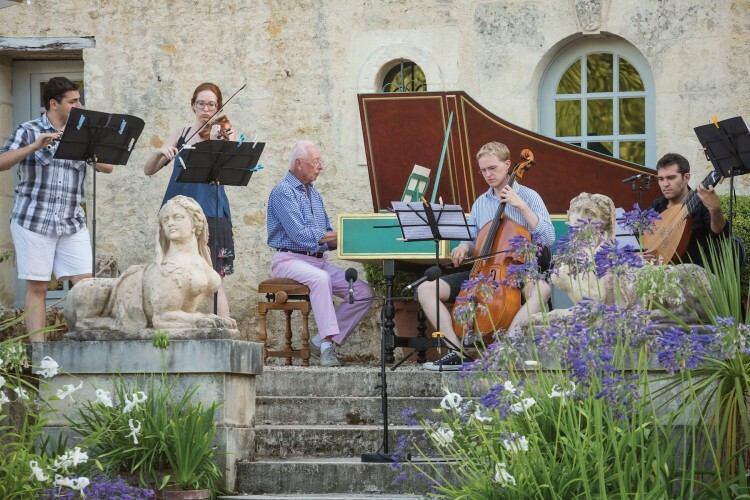 Gardens have been a lifelong passion for the Buffalo native, who left the United States in 1971 and eventually found his life’s work reviving the forgotten masters of French Baroque music and teaching the French to love them. In 1985, Christie fell hard for a decrepit 17th-century stone farmhouse surrounded by fields of sunflowers and feed corn in the southern Vendée, midway between Nantes and La Rochelle and a bit inland. He bought the house, with its five acres of land gone to weeds, and set to work restoring the building, known as le Bâtiment, and creating an Arcadian landscape from nothing. Knowledgeable about garden design and art history, Christie applied an eclectic array of references from those fields to the improvement of the property, turning the gently sloping field into a series of terraces descending to the river Smagne. A French-style formal courtyard of low beds of curlicued hedges greets guests arriving by the front gate. To the right, beyond a grape arbor, lies the semi-circular Théâtre de Verdure (yew-tree theater), contained by a tall hedge trimmed into swooping chinoiserie-inspired curves. A spiral stairway descends from the arbor to a medieval-style cloister against the eastern wall. West of the house, French doors open from the Renaissance-style great room onto the Red Garden, a small courtyard set with pots of red geraniums and annuals. Most of the flowering plants in the public parts of the garden are grown in pots for temporary placement: after the spring bulbs die back, the garden is defined by the structure of its plantings rather than the fleeting color of blooms. Behind the house, a few steps below the narrow gravel-covered patio, lies the Terrace, a lawn divided by gravel walkways and lines of trees and dotted with fanciful topiary and statues. The central path leads down stone steps through an opening in the tall border hedge to the river-fed, man-made reflecting pool, the Mirroir d’Eau, the vista extending from the house to a colonnade of hedges at the property’s border (see above). As Christie acquired more land over the years, he expanded into different garden spaces and added embellishments. Next to the Red Garden stands a 16th-century dovecote, rescued from another site; it’s surrounded by whimsical dove-topped topiary and stocked with several hundred white doves. East and north of the Terrace, leading to work sheds and supply gardens, lies an American garden planted with species native to North America. Antique statues and weathered fountains acquired over the years, as well as trees planted early on, contribute to the garden’s illusion of great age. The exuberant eclecticism could easily be jarring, but the scale and the definition of spaces create a progression reminiscent of a Baroque dance suite. The French government named Les Jardins de William Christie a Jardin remarquable in 2004, and two years later the property was added to the French Supplementary Inventory of Historic Monuments. Many garden enthusiasts visit the property during July and September, and this Arcadian fantasy landscape is indispensable to the experience of the festival. A festival outing at the estate feels more like a day at a small-scale Versailles than a typical summer music festival. Concert tickets are reasonably priced and sell out quickly, but if weather permits—and it did in 2016—same-day admission is sold at the gate. Festivalgoers arrive with folding chairs, casually dressed, and park in a field at the edge of the village near the main road, at the other end of the property from the house, and cross a wooden footbridge over the Smagne onto the grounds. During the first hour, visitors can listen to a storyteller, attend English soprano Sophie Daneman’s popular family workshop, take a guided tour of the gardens, or enjoy a drink at the cafe while studying the program and the map. Music starts at 4:45—four sessions of Promenades Musicales, 20-minute open-air concerts in picturesque spots throughout the grounds. On opening day, Aug. 20, events kicked off in the Jardin éphémère, a temporary garden designed by the young French landscape partnership Atelier GAMA. A gently raked wooden platform surrounded by minimal plantings evoked a raft floating in a shady grove and provided acoustical reinforcement for the music. After welcoming remarks by Christie and the presentation of the prize for the second annual garden design competition, two singers and a quartet of Juilliard musicians performed a charming, slightly jazzy piece d’occasion, Pyramus and Thisbe, by the multi-talented Juilliard-trained bass player, Doug Balliet. For the next two hours, those outdoor rooms rang with the sounds of the mini-concerts. There was plenty of standard Baroque chamber music, like Handel soprano duets, a Rameau cantata, and solo sonatas by Marais or Bach. More offbeat choices included a Saint-Saëns transcription of a Vivaldi mandolin concerto, played under the willows near the riverbank, and Shakespeare settings from Morley to Schubert, sung by a vocal quartet in the Cloister. Rustling leaves or splashing water might compete with the music or intonation grow sour from wind or hot sun, but the pleasure of a pastoral serenade compensated for such distractions. After the last session, everyone hurried to find a spot on the Terrace lawn for the Promenade finale, a teaser program from the evening concert, conducted by Christie. Sight lines and acoustics weren’t perfect, for listeners or performers, but the gathering felt festive and gave closure to the afternoon. The big evening concert with assigned seating took place at the reflecting pool, with the musicians on a stage built over the water. 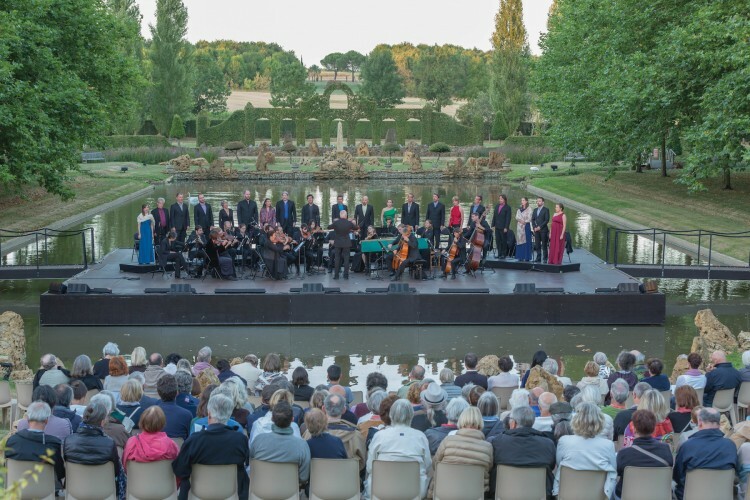 The first weekend’s program, Le Jardin des Songes (The Garden of Dreams), was a greatest-hits medley of arias, orchestral excerpts, and choruses on the theme of night and its many moods. Longtime ensemble member Daneman choreographed stage transitions and musical gestures to highlight both the music and the personalities of the singers. As daylight faded, subtle stage lighting added another dimension, enhancing the spectacle and the garden with atmospheric color. It was a delicious mix of music and nature enhanced by artifice. At concert’s end, guests had half an hour to walk the short distance to the nearby Romanesque church, via the paths lit by container candles and spotlights trained on statues and shrubbery. At the church, Les Arts Flo soloists gave a 20-minute musicale, “Meditation at the Dawn of Night,” a candlelight concert of sacred chamber music. These short programs, performed without applause, featured some of the festival’s choicest music: Heinrich Biber’s intense, virtuosic Mystery Sonatas for violin and continuo, exquisite Carissimi motets for sopranos, and sacred monody by Francesca Caccini. After two hours of high Baroque repertoire, even a casual listener was primed to appreciate the more esoteric older styles, and the intimate space provided more flattering acoustics for the refined subtleties of early Baroque style. One could linger outside among the purple-lit potted topiary with a hot chocolate and perhaps buy a CD. A quiet stroll through the deserted village to the parking field ended a visitor’s evening in beauty, as the French would say. The next morning, I joined a tour of the Quartier des Artistes in the center of Thiré. This ambitious capital project, begun in 2013, involves the purchase and renovation of eight buildings in the north end of the village, a short walk from Christie’s house. At the Maison de la Fontaine, the nearly completed future festival entry gate and visitor center, with rehearsal space and cafe, Christie explained the project over a champagne toast. He works with an architect from the region, and the project uses native materials and local workmen to restore and upgrade in an indigenous style, but with modern conveniences. The goal is a physical home for Les Arts Florissants and a cultural center to serve the village, the Vendée region, and Baroque enthusiasts worldwide. Accommodations and facilities for 81 resident musicians, garden experts, and other visitors will simplify festival logistics. The target date for completion is 2018. The timeline of his youth training initiatives pays testimony to that declaration. In 2002, he started his training academy for young professional singers, Le Jardin des Voix, which has launched solid careers for a number of singers in Les Arts Flo and beyond. The next academy will meet in Thiré for the first time in August, and the first concerts will launch the 2017 festival in the gardens. In 2007, Christie and a group of his musicians held the first Les Arts Florissants annual two-week residency at New York’s Juilliard School, and in 2009 Juilliard founded a graduate program in Historical Performance to provide tuition-free advanced training to players of baroque instruments. Since the beginning of the Thiré festival in 2012, Christie has invited students from the program—eight of them in 2016—to participate as professionals. For these early-career American musicians, integrating into one of the world’s top Baroque orchestras is trial by fire. Also participating in the festival were several interns from a third program Christie started in 2008, the Arts Flo Junior, which provides individual mentorship to a few advanced students from French conservatories for the duration of a production, or in this case, the festival. The young musicians (including singers) rehearse and perform next to ensemble members assigned to be their mentors; they are paid for their services. 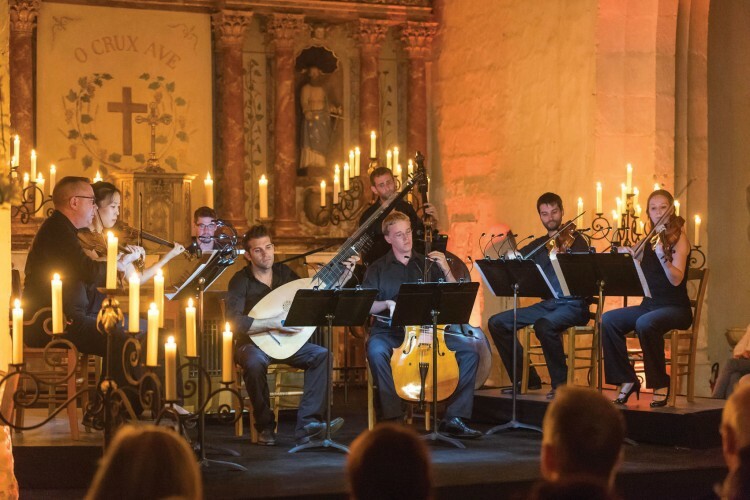 It’s a valuable bridge experience that also prepares young musicians to function among France’s thriving ranks of freelance musicians, the lifeblood of France’s extraordinary Baroque music scene. Agnew gravitates to Italian and English music, which dominated the late-night programming at Thiré. His complete Monteverdi madrigal cycle with Les Arts Flo over the past five seasons has been a particular source of repertoire inspiration and artistic growth. As a singer, he approaches the music from a different perspective than does Christie, a harpsichordist. “The thing to remember, that I try to drum into the ensemble constantly, is [that] the text existed before the music did,” said Agnew. “This is the big change between Renaissance to Baroque music: everything the composer has done is bound to the text.” His explorations of Monteverdi’s contemporaries and predecessors promise interesting work to look forward to. In addition to managing the late-night Meditations at Thiré, Agnew also presented and sang in an extraordinary prime-time concert of sacred music for vocal quartet and continuo by Purcell and his contemporaries. After hearing the precise, nuanced, and sensitive renderings of these lesser-known masterpieces, it was not surprising when Agnew’s recording, Cremona, the most recent from the Monteverdi project, won the 2016 Gramophone award for Baroque Vocal music. Should Agnew end up taking over the group, it will be with a combination of impeccable musical standards and the same sense of excitement and exploration that launched the group. Christie may downplay talk about the future, but he has learned to navigate the labyrinthine administrative process involved in ensuring the artistic and material legacy of Les Arts Florissants. 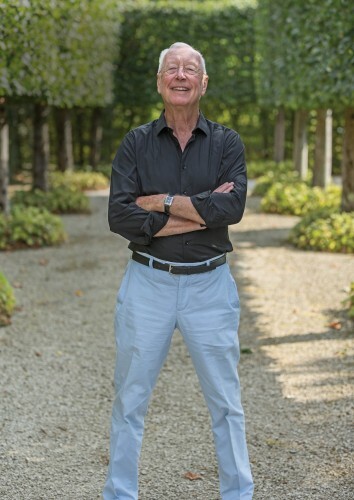 Connected with the American arts world, he also understands private fundraising and has a quiet network of individual donors who have supported large projects like the landmark production of Lully’s Atys. Government subsidies have grown more precarious in recent years, and with a third of the 1.75-million euro ($1.95 million) budget for the Quartier des Artistes still to be raised, private contributions are essential to completing the arts campus. Recent tax-code changes made it logical to found a European Friends of Les Arts Florissants organization, joining the American Friends group founded in 2012. The French government’s recognition of the garden as a site of national interest enhanced the foreign-born Christie’s credibility as a French tradition bearer, which in all likelihood smoothed the process of setting up a French foundation. But when you walk through Christie’s gardens, you quickly forget about money. The beauty and surprises of the grounds, the sweetness of the music, played and sung with effortless excellence and love, the seamless operations, and the prevailing friendliness all help create an irresistible and relaxing atmosphere. It is truly one of the most magical of summer experiences, and its future looks bright. Susan Brodie writes about music, the arts, and life from New York City and Paris. Follow her at @Susan Brodie (Twitter) and Toi Toi Toi!